I receive many questions about how to become a teacher, particularly for SPM leavers and also degree holders. Congratulations! Hopefully your interest to become a teacher can strengthen to strong fighting spirit when you become a real teacher later. Do you know that there are about 11 paths to becoming a teacher? This is among the easiest way to become a teacher. SPM school leavers who obtained excellent results (4/5 A and above) may apply for admission to the Institut Perguruan Malaysia (IPGM) or better known as the Maktab Perguruan formerly. They will be trained for 1 year preparation and 4 additional years for the Bachelor of Education program (Ijazah Sarjana Muda Pendidikan). They will then serve as teachers in the Primary School (Sekolah Rendah). Moreover, to improve the quality of teacher education, Malaysia Education Ministry (KPM) also provides dedicated path of immediate interview to SPM straight A's school leavers who are interested in becoming a teacher. For those who are interested to become teachers in secondary schools, there are other paths that you can try. After getting good results for SPM, you can apply for admission to matriculation colleges. Generally, your SPM results need to be at least credit for all subjects. While studying at matriculation colleges, get good exam results to apply for universities that offer programs for teaching or education. 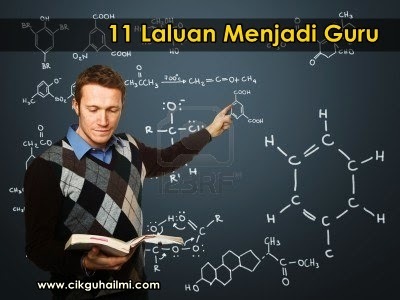 There are also students who want to become secondary school teachers or teachers of subjects taught in secondary schools, such as Chemistry, Physics, Biology, Economics, Commerce and others, then they can choose this path. It is to further study at Form 6, and then further study at university. This path is more or less like the above path, in which Form 6 students who obtained excellent STPM results, then futher study education program at the university. The majority of them will be posted to teach in secondary schools, except where otherwise the subject has been specified in primary schools. This path is the path for those who first continue their studies to Diploma level. After SPM, probably already lose the sense of going to school, then go to study diploma in any local public university that offers the program. Once you have a diploma, you may apply to further study to degree level specialized in teaching at universities that offer the education programs. 4 additional years are needed to complete their studies at this level. However, there are universities that allow some subjects to be exempted, hence it is possible to complete this degree in a shorter period. This is a way for those who already have a degree, but not in the teaching field. Then you can apply DPLI courses, Diploma Perguruan Lepasan Ijazah. The difference of DPLI compared to the more commonly known KPLI is that DPLI is implemented in universities, not in IPG like KPLI. Also DPLI is for teachers to secondary school, while KPLI is for teachers to primary schools. Little allowance is given to those who are selected to participate in this program. But there is a contractual agreement with KPM for 2 years. This is the most common path we hear, namely KPLI, Kursus Perguruan Lepasan Ijazah. I myself was once the product of KPLI. Now KPLI leavers are for teachers who will be posted to primary schools only. Want secondary school, you can try DPLI as above. KPLI is implemented in IPG, for 1 year. However, due to the factors of the number of teachers and subjects disproportionate and excessive, factors of Ijazah Sarjana Muda Perguruan (ISMP) graduates do not get any posting, this program has reduced its intake. It is usually only limited to those critical subjects such as English, KHB, Special Education, and many others which are in immediate supply demand. Even if it opens, the competition is usually very fierce. Good luck! For those who have a degree in Islamic studies, Arabic or related to it, then you can try this path. Those who seek and are offered this program, will be given the opportunity to straight away become a JQAF teacher in a designated school. At the same time, during the school holidays, they must be enrolled for studies during school holidays for 2 years. After finishing this JQAF program, then there will be reposting again. Depending on luck and vacancy, the posting may be to the former school, or a new school. In addition, you can also try your luck to become a MRSM teacher or Maktab Rendah Sains MARA teacher, especially if you have something to do with MARA. Whether former students, former MARA scholarship recipients or anything related to MARA education. You can refer to the advertisement at specific MRSM from time to time for application instruction. This depends on the subject vacancy and demand. Like other teachers, the teaching programs for these teachers are conducted during the school holidays. The priority would be given to former MARA scholarship recipients. However, you can try also. Who knows you are lucky enough to be a MRSM teacher. If you've tried MRSM and other schools, but have no luck, then you can try to apply as a private school teacher and international school teacher. The requirements are surely more selective on the subject, teacher qualification and also certain strengths. This path is a good way for those who always want a challenge in career. Salaries are certainly more lucrative when compared with teachers working with the government. The risk of becoming a teacher at these schools is the contract might not be renewed if not performing impressively. This is another new route that I know. You can join Teach For Malaysia NGO which is active in preparing teachers for critical subjects in schools that are in need of teachers. Those who apply to join Teach For Malaysia program will be filtered and given school for posting. During the weekend they have to attend kursus pemantapan perguruan with Teach For Malaysia friends. The contract is for 2 years, then they can choose to continue to be a teacher or stop. Teach For Malaysia program is also sanctioned by the Ministry of Education, and even more actively promoted through the social networking site in the past two years. So, surprise, right? I cannot believe there are many ways for you out there who really want the title of a teacher. So, work as according to your plan. And when you have the opportunity to become a teacher one day, do not waste the opportunity, responsibility and trust that you bear as a teacher! May I know whether is it enough for the PTPTN to support me when I am studying in INSTITUT PERGURUAN MALAYSIA..
this is very helpful!!! thank you so much. Hi. I would like to know wether do you need to study at a public university to be a public school teacher ? If I want to be a teacher, can I do Form 6 arts? I read your blog its so amazing and helpful for us. I get many awareness to your blog. I want you to write more blogs like sports, health etc, because your post is so much better than others. I've passed the age of 35. Is there any way I can enter the government service now? Do u really need 4/5 A to become a teacher? Because it is hard for me to gt those kind of grade but i have the interested in teacher children. Pls reply because i going to take my spm soon.